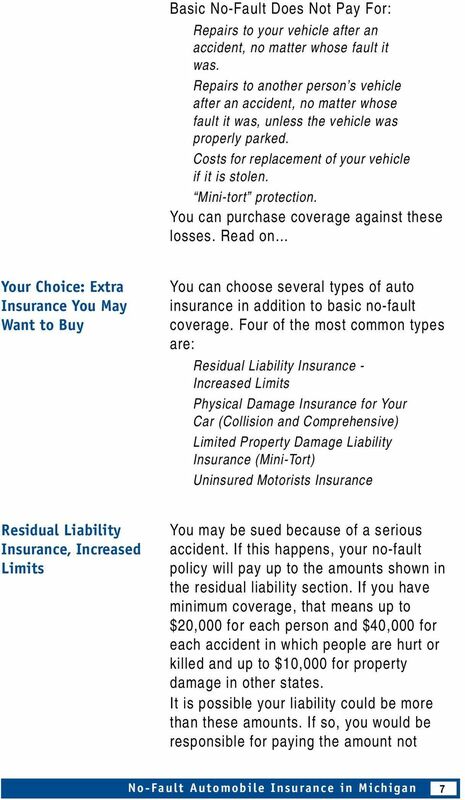 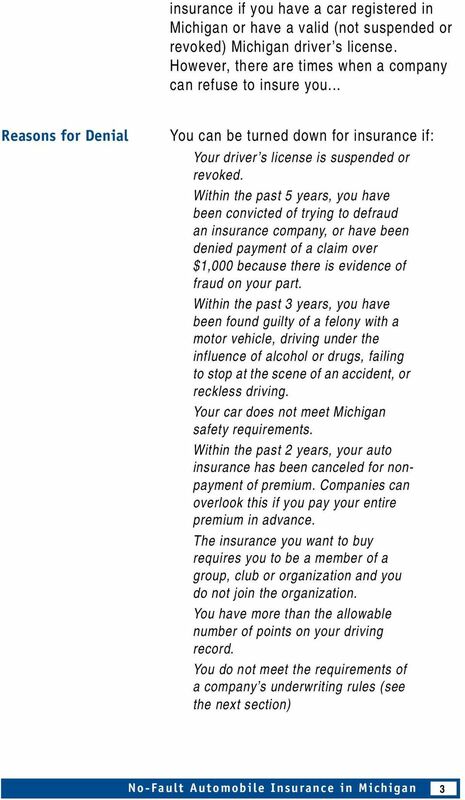 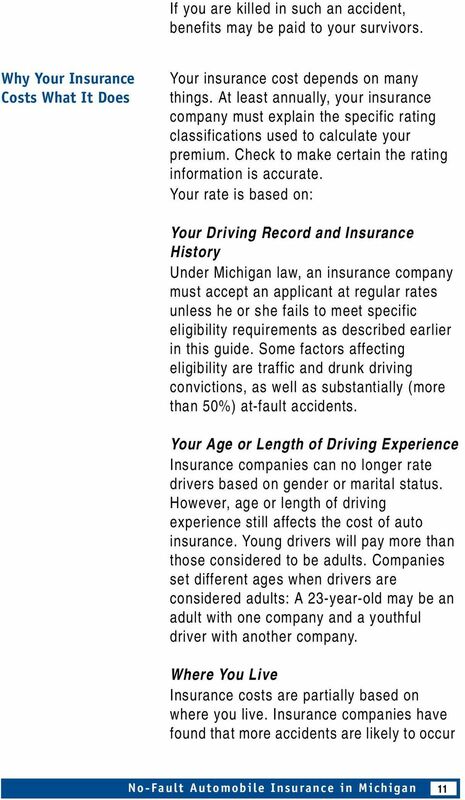 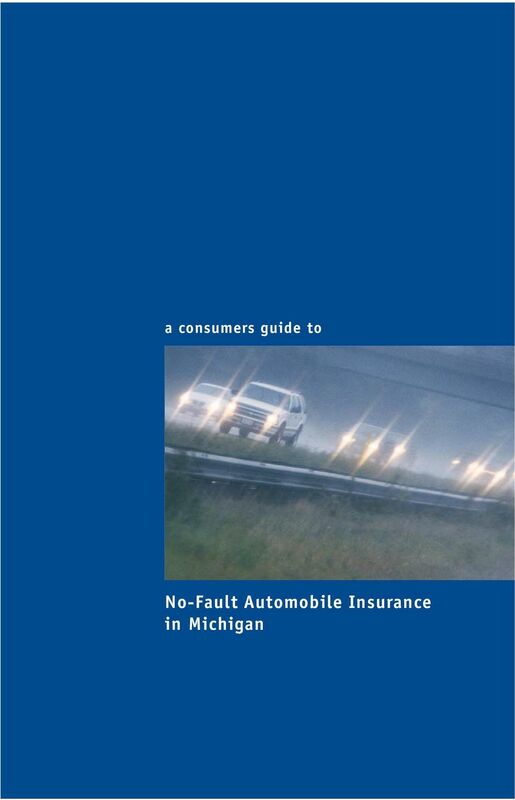 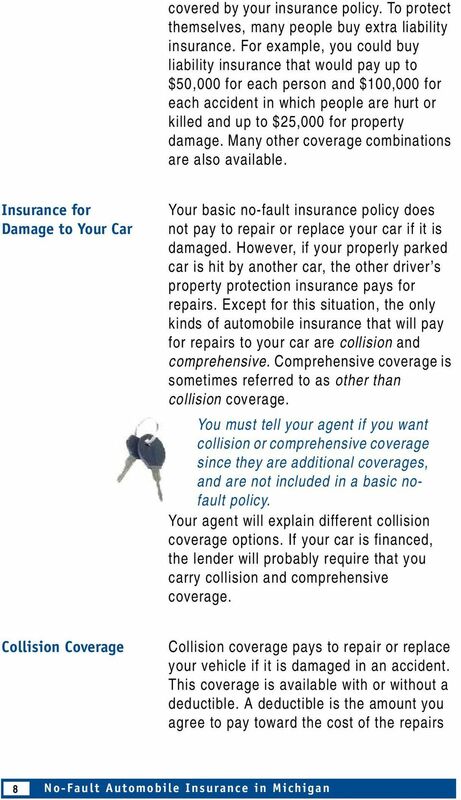 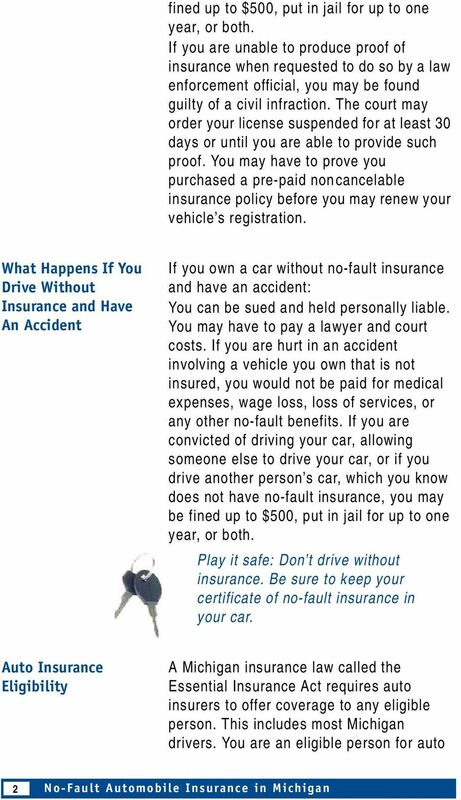 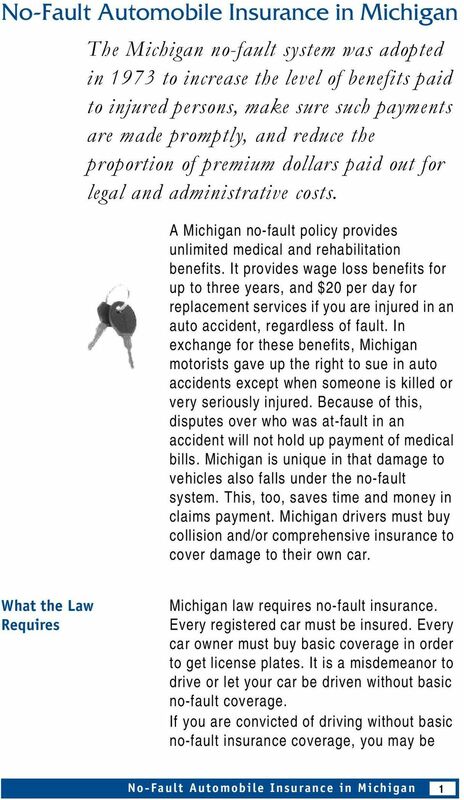 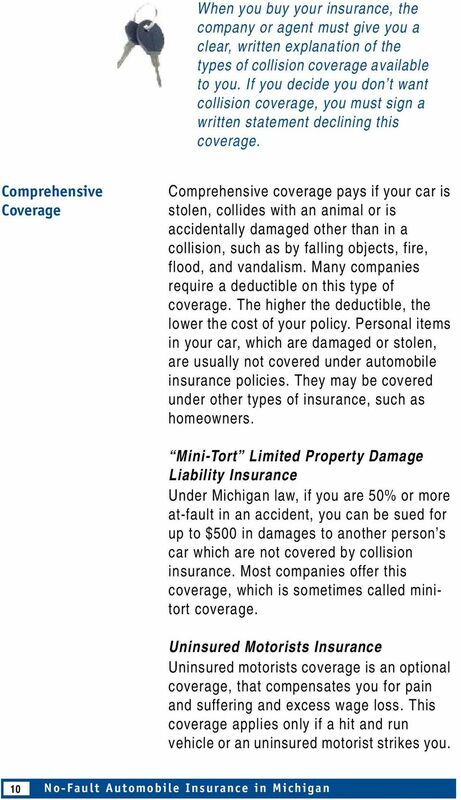 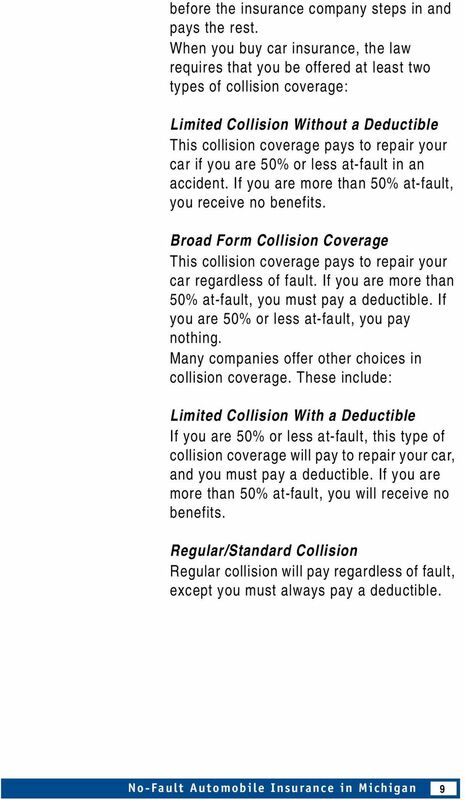 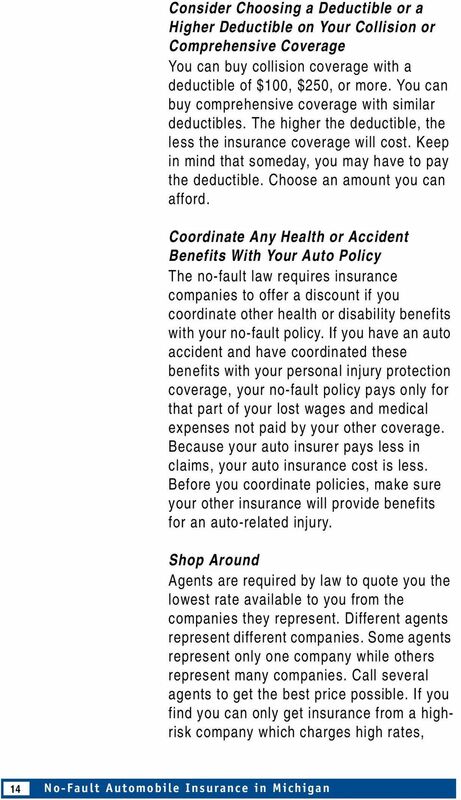 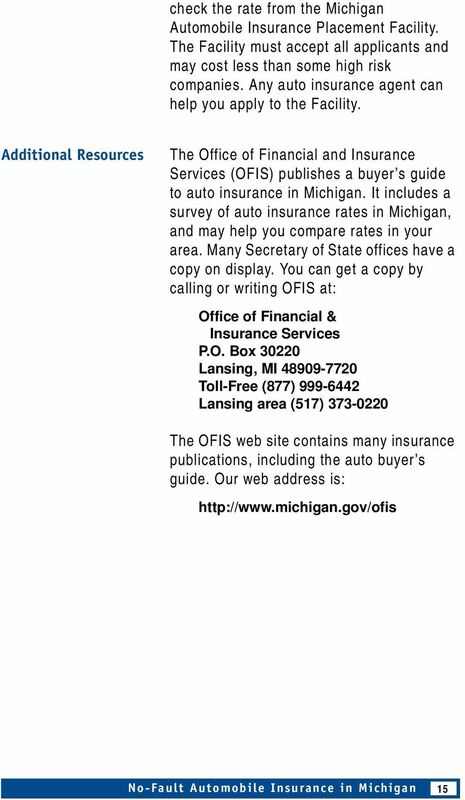 Download "a consumers guide to No-Fault Automobile Insurance in Michigan"
Summary of Important Changes to Your Policy You Now Have More Choice Recent reforms introduced by the Ontario government will give you more choice over the coverages and price you pay for auto insurance. 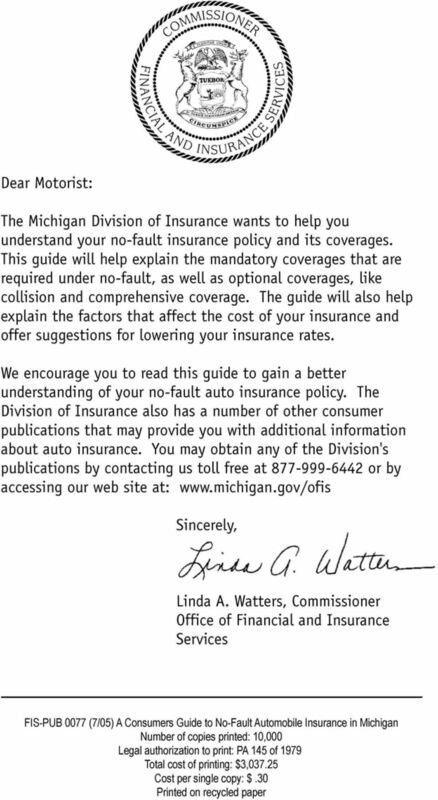 MONTANA COMMISSIONER OF SECURITIES & INSURANCE MONICA J. LINDEEN COMMISSIONER MONTANA STATE AUDITOR Dear Fellow Montanan: I am pleased to provide you with a copy of the Consumer Guide to Auto Insurance. 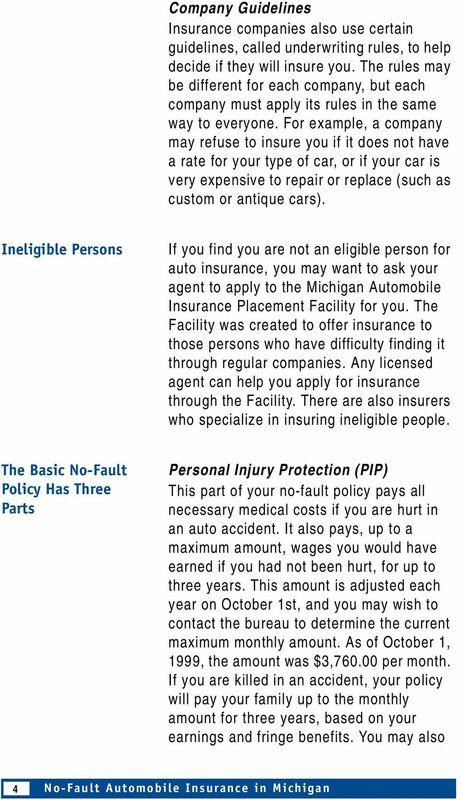 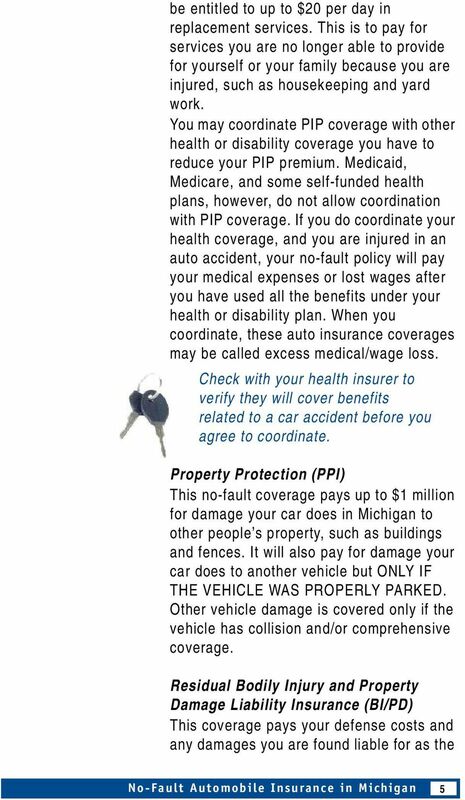 No, the MAIP is the way you are assigned to one of the existing automobile insurers if you have been unable to find coverage on your own. 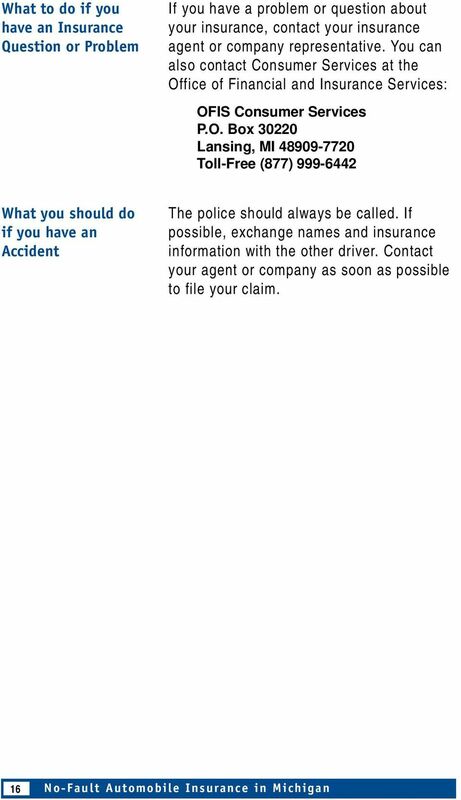 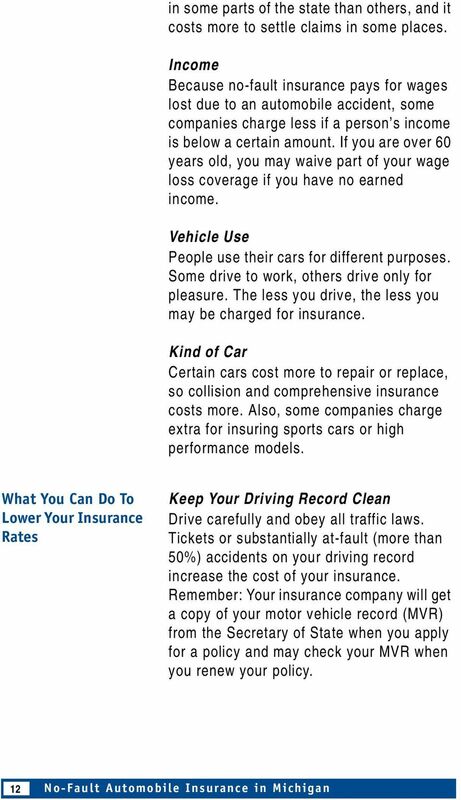 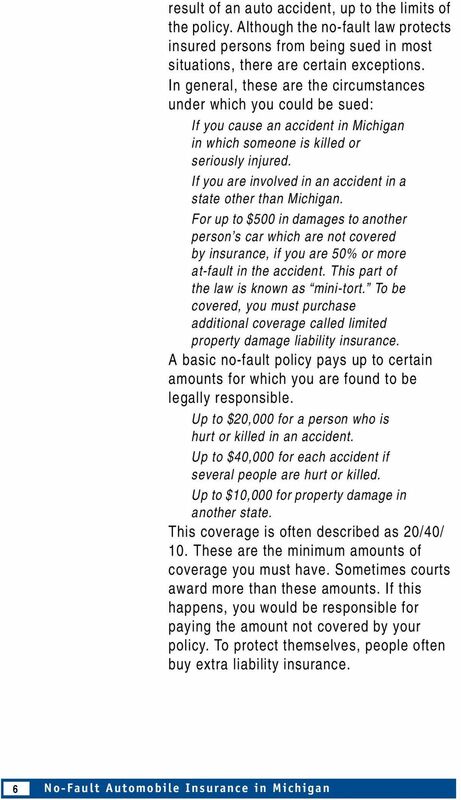 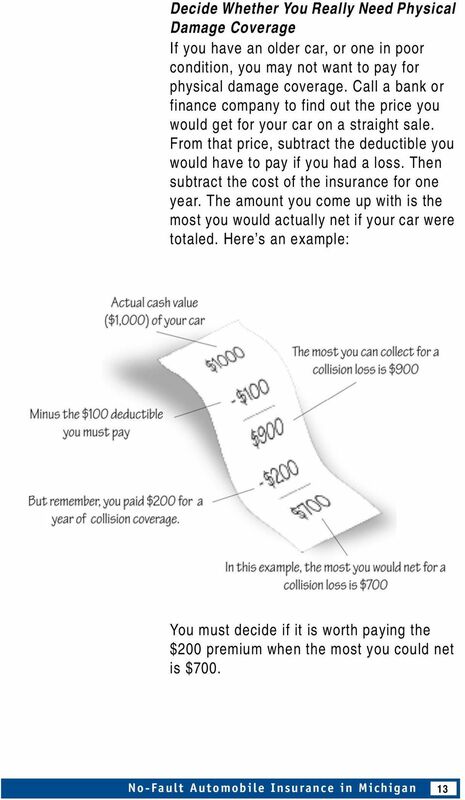 Downloaded from www.dbthomasins.com ONTARIO AUTO INSURANCE GUIDE The Insurance Contract Once you know what coverage you want, an insurance contract is established between you and your insurance company.